Hair loss in women - is it normal? For some of us, the hair genes are not in our favour and you may find that your family generally suffers from hair thinning which may result in your natural hair volume gradually reducing and your hair becoming finer and shorter. This is mainly because of a predisposed sensitivity to male hormones in the body. Stress can lead to a spike in Androgen (male hormone) levels, which in turn can cause hair loss. Stress may also trigger scalp problems, such as dandruff, disrupt your normal eating habits and mess with the digestive system – all of which can have a negative impact on your hair quality and quantity. Hormones play a huge role in regulating the hair growth cycle and if they are all over the place, you will experience a shorter hair growth cycle and even hair loss. Oestrogens (female hormones) are 'hair friendly' and help to keep hairs in their growth phase for the optimal period of time, while Androgens (male hormones) are not very hair friendly. If you already have a genetic sensitivity to Androgens, a hormone imbalance is bad news for your hair. If you are seeing a marked change in your hair volume you may want to look at your iron and vitamin B12 levels. One of the most common causes of hair loss in women is an iron deficiency because iron is essential for producing hair cell protein. Vitamin B12 helps promote red blood cell health which supplies oxygen to the tissues, an important factor in quality hair growth. The thyroid gland helps to regulate the body's metabolism by controlling the production of proteins and tissue use of oxygen. As a result, any thyroid imbalance can affect hair follicles. As with many other parts of your body, menopause can affect your hair and may cause your hair loss to increase. This is particularly true during the periods leading up to and after menopause. 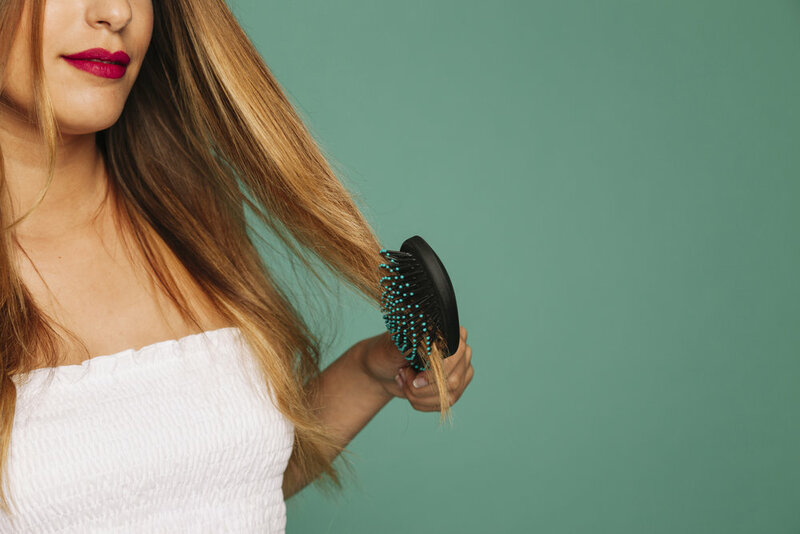 You’ll also start to experience a thinning of your hair strands during these years of change, which is just a normal part of the ageing process.